The firms that appear in the LB100 are the top 100 firms in the UK, ranked by gross fee income generated over the financial year 2011/12 – usually 1 May 2011 to 30 April 2012. We call these the 2012 results. 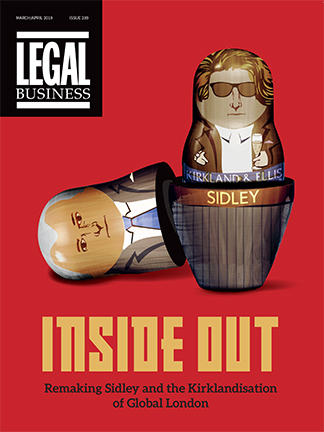 One firm in particular again stands out from the morass of misery that has beset the Scottish legal market in recent years, as it did last year: Brodies. Brodies has recorded one of the highest real-term turnover increases this year in the entire LB100: up 16% to £42.8m, leapfrogging Shepherd and Wedderburn, which has remained static. This is no flash in the pan either: Brodies five-year revenue compound annual growth rate (CAGR) is 7%, easily the highest in the peer group and all achieved without a merger. The firm is also highly profitable. Net income is up 30%, again the highest in the group, putting profit per lawyer (PPL) at a healthy £50,000. The line-up of North peer group firms has changed again. Following the departures of DWF and Hill Dickinson to the Major UK group last year, Weightmans joins them after 2011’s merger with Mace & Jones and the acquisition of Vizards Wyeth’s insurance team propelled the firm’s revenues into the big league. Last year Weightmans was already £10m ahead of its nearest rival, Pannone. This year it is over £30m. Keoghs now tops this group with revenues of £47m. But even without Weightmans, there is still a large gulf between the top firms and those bringing up the rear in this peer group. Dickinson Dees is now the largest firm by fee-earners in the North and its revenues are up by a modest 1% to £46.1m. This means the firm has arrested a three-year slide in revenues but is still some 23% behind its 2008 peak of £60m. Its five-year compound annual growth rate (CAGR) stands at -4% – the worst in the group behind Cobbetts. Two years of holding the dubious distinction of being the worst performing peer group in the LB100 based on revenue has acted as a call to arms to law firms in central England and Wales. The past year has seen the region consolidate at a storming rate to reverse the slide, climbing above the South and Scotland peer groups. Ipswich-based Birketts posted a 12% annual increase in turnover to £26.7m following its first full financial year since amalgamating with nine-partner Chelmsford outfit Wollastons in September 2010. The situation remains typically sluggish in the South, where firms continue to tread water as far as profits are concerned and struggle for market share in this hugely competitive region. Yet again, most firms in this peer group suffered flat or declining turnover and many have reported falling equity partner numbers; both signs that, despite unmistakable optimism among lawyers, things are far from pre-crisis levels. Average revenue across the peer group is up just 1% to £29.5m, still down on the £33m average in 2008. Once again, this is the worst-performing peer group in the LB100. As far as merger headlines go, the Major UK peer group has had a bellyful over the past 12 months. Even in a year where the LB100 has seen consolidation across the board, the UK’s leading national firms still stand out as the most acquisitive. It’s a trend driven by necessity. On the face of it, the merger between insurance players Beachcroft and Davies Arnold Cooper (DAC) was probably the most high-profile union but although DAC Beachcroft saw turnover rise by a hefty 22% to £163.2m in 2011/12, its growth still didn’t top the group. It was the best of times. It was the worst of times. In a year where eurozone turbulence rocked the continental market and wider global growth failed to meet forecasts, being a solely UK-based firm seemed like a good bet. Well, for some at least. Variability has always been a feature of the London peer groups as the main players can straddle very different markets. So in the name of healthy competition, this year sees the introduction of the City Domestic and City International peer groups to the LB100. Formed out of the previous Major City and London Midsizers groups, the aim is to try to improve standardisation. This City Domestic peer group brings together those City-based firms in the LB100 that derive almost all of their revenues from London offices. For this year’s LB100, we have a new peer group: City International. This group comprises firms that have leading practices in the City but also have a strong international practice, deriving a healthy proportion of their income from offices outside the UK. All the firms in the peer group have posted increases in turnover and, barring a few, increases in average revenue per lawyer (RPL). Many firms have bolstered revenues by merging or opening new offices in buoyant markets such as the Middle East and Latin America. Thirteen of the 17 firms in this peer group opened one or more new offices last year. However, for some firms the expansion has come at a price in profit per lawyer (PPL). The Major International peer group made its LB100 debut last year and there’s no doubt that it was a timely introduction. Comprised entirely of firms eschewing full financial integration in favour of looser Swiss Verein-type structures, the players included under this banner have continued to blaze a trail with their entrepreneurial approaches to law firm growth. CMS, which includes former Major City firm CMS Cameron McKenna, is a new addition to the table following its milestone decision to report its financials on a firmwide rather than country-by-country basis. The group employs the European Economic Interest Grouping (EEIG) model favoured by PwC. As other City firms announce their intention to secure ambitious international mergers, it seems a prudent bet that this table will swell further as the Verein model continues to be used as a preferred route to expansion.